GTAV truly is unstoppable, damn. It would be interesting to see how it would sell on a popular portable. Nothing much to see except the nice hold of the top 3 hardware. Really happy to see that RE7 is doing so well. First time in over a decade I'm looking forward to the future of the series. PS4 having nice hold. 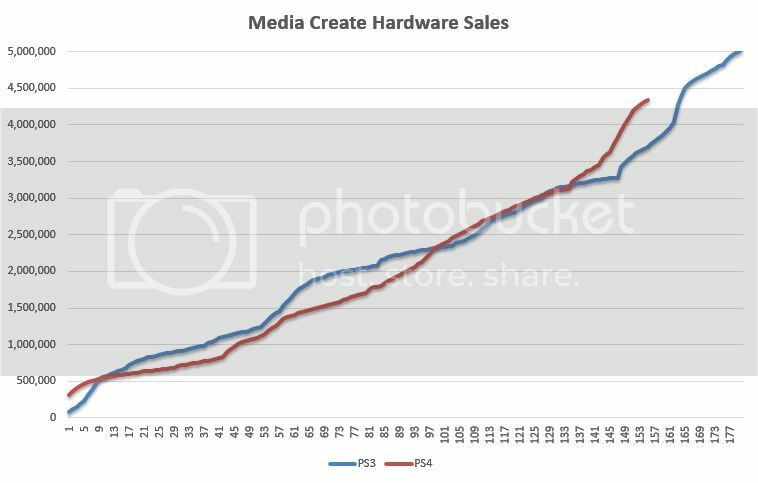 I was expecting 20% drop but its only 10%.. May be the new baseline for PS4 will be a bit higher. Pokémon hold is quite good, wonder if it can stay around 20k for a while now? Good second week for RE7. Lol Naruto. It's mostly for the western market anyway, right? Boxboy must have been doing alright for its budget. Gravity Rush 2 so close to 100K ! Minecraft Vita past 1.1m. Wonder if Switch version is actually gonna slow it down or if it's gonna keep selling as the only boxed version (as well as being on a cheaper handheld). DanganRonpa has done well too. The user reviews on 4gamer are pretty scathing though. I'm guessing Vita hardware is going to dwindle into nothingness from now on. Other than Super Robot Wars V (and possibly Accel World vs. SAO) there's nothing major on the horizon and there's unlikely to be anything announced either. Shame. Oh well, I enjoyed its run. Naruto expansion flopped because they are charging $20 for effectively one new character and a 2 hour story mode of an old movie. Its sales look awful next to MGS or Yakuza. Im pretty sure the series used to be way bigger than both. PS4 performance is solid. GR2 doing well in Japan. Wonder how Nioh does. Did it flopped though ? From what I get, the release here is basically the base game + road to boruto. It would be interesting to see how the expansion performed by itself. Last I heard, not too well. I wonder if KT regrets their western deal, unless Sony's publishing duties doesnt eat too much revenue for them. PS4 Pro is becoming easier to find.. a little bit I mean. I don't know if it means much but I'm so glad seeing Gravity Rush 2 still holding there. I really want everyone to know how much more Titanfall 2 sold than Nioh. It was a staggering amount. Worse legs than X / Y start to show up. On the other hand, one can also say that the increased marketing and exposure by Sony can offset or even exceed the supposed % lost. Nobody really has any idea what 7 cost so I don't know why it's such a fixation. 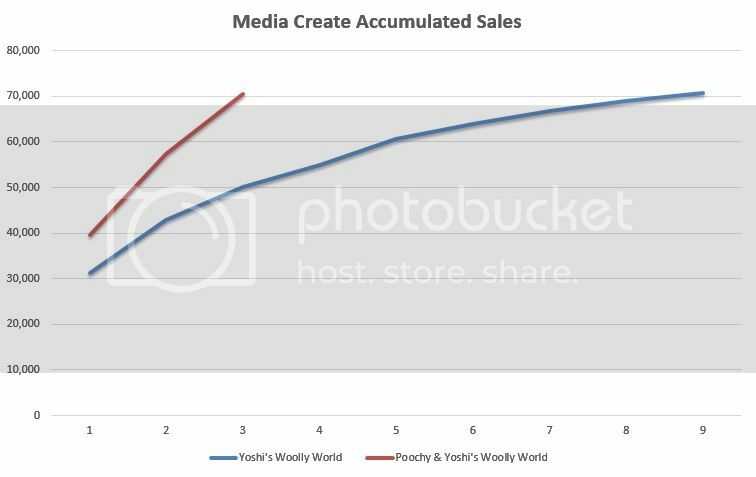 On the other hand, one can also say that the increased marketing and exposure by Sony can offset the supposed % lost. The exposure doesnt seem to have changed that much after the publishing deal though. Word of mouths and betas seems to have done most of the jobs. That and the reviews. Although the publishing deal here could offset the fact that KT wont have to deal with stocks and production/shipping of copies depending of the game success in West. Basically if it's moderate, they wont have to deal with unsolds. And if it's a success, they wont have to fight to restock it. I just find a very interesting interview, a website translate famitsu's Team Ninja's HAYASHI interview(not English) last year. Could anyone please find the English Article, have any English Media report that? 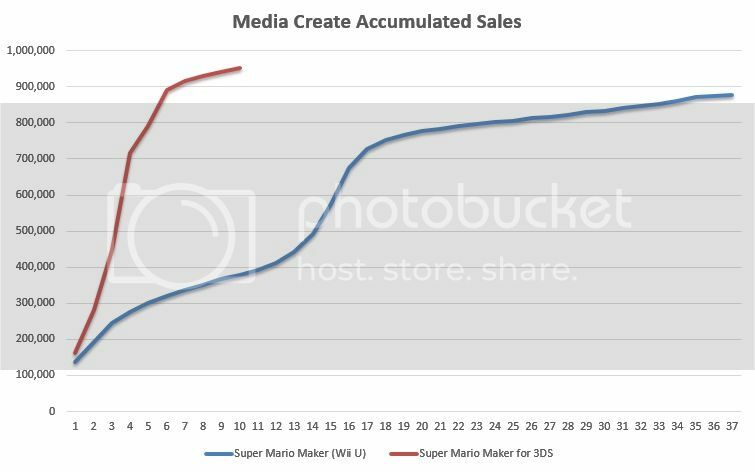 Mario Maker 3DS is going to end up selling more in Japan then the full fat version at this rate. Its not reallt about being profitable. Apple can be profitable and yet if its sales shrink year on year it's bad news. The franchise shrank big time in Japan and that is bad news, no matter how we spin it. I don't understand. 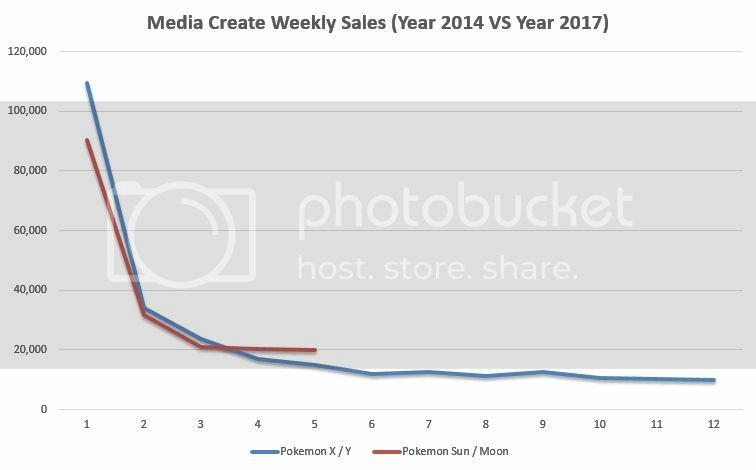 Are you saying that Sun and Moon worse legs are starting to show up or that X and Y is starting to have worse legs tan Sun and Moon? (numbers would indicate is the latter but I'm not fully understanding your sentence). Not doubtful about your quote, I knew about it. But about the publishing deal happening, which has nothing to do with the exclusivity. As for PS4 exclusives, I'd also take context in mind for this quote and I wonder if it basically means they're dropping PS3 and Vita to focus on PS4/current gen, as it's a Japanese interview. Good to see that numbers for RE7 though it's not even near to what previous titles sold. The better lineup will possible put even a good margin over last year. Just saw that 3DS YTD sales were basically flat. Not bad, though it did start 2017 better than it did 2016 (didn't last long, though). Not expecting much 3DS-wise until MHXX drops, though. Even then, impact on sales will be limited, especially if there's no 3DS bundle (and nothing was announced, so I doubt there's one). Said that RE7 did a bit lower than I expected... I expected 50k more at launch and over 300k right now. 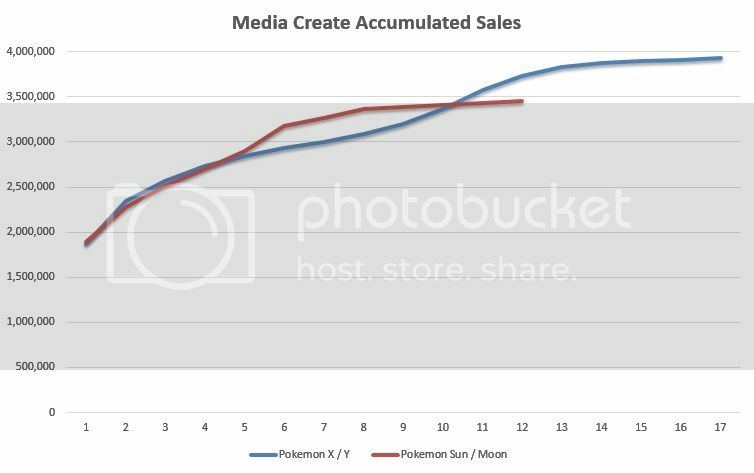 Sun and Moon is looking to have better legs than XY, but it has a bit of catching up to do.